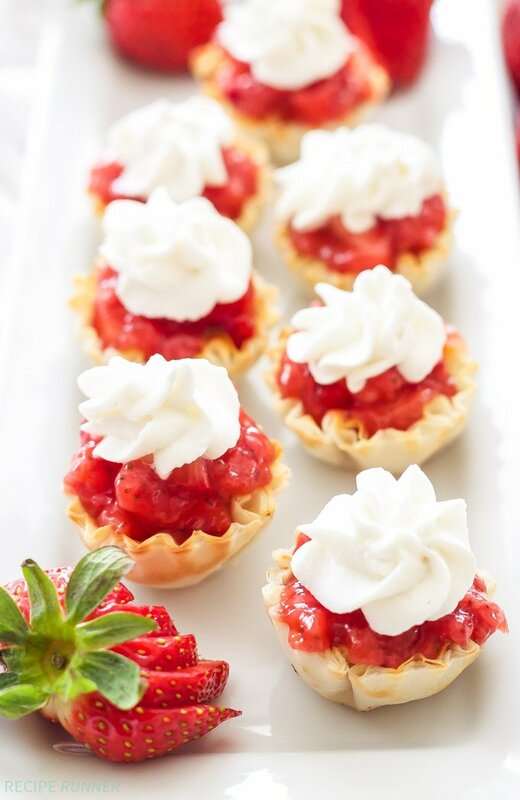 These No Bake Strawberry Pie Bites are the perfect way to have your summer fruit pie without turning on the oven! Can you believe that it’s the last week of June? It felt like this past month flew by. July is going to be an interesting month for my husband and I. For nearly three years, my husband has been working out of a home office in our basement and starting next week he’ll be moving out and into an actual office building. Being in the same house 24/7 definitely took some getting used to, but we adjusted for the most part. I will admit it was nice to have the whole house to myself if he went out of town on business. I think the change will be good though, distance makes the heart grow fonder…right. One thing that will be a bummer is not being able to walk downstairs and immediately get an opinion on a recipe I just made. He has been my readily available taste tester and hand model for the past 3 years, now I’ll have to wait until he gets home from the office…or rely on my two cats. The upside to all of this is, I’ll finally be able to send my desserts and baked goods to work with him and not have to have them tempting me on the kitchen counter or every time I open the refrigerator. Being able to send these No Bake Strawberry Pie Bites with him to the office would have been really helpful the past week because their power overtook me and I ate 5 before I even realized it. Having an arsenal of no bake desserts in the summer is essential because turning on the oven is one of the last things you want to do. 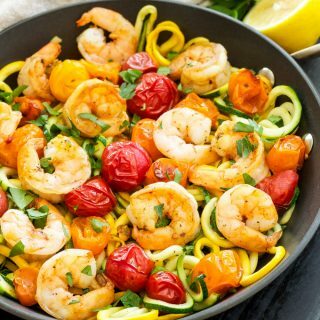 Having recipes for no bake desserts that are mini is even better because beaches, lakes, swimsuit season and eating healthier go hand in hand during the warm summer months. It’s not like winter where we need a few extra pounds to keep warm and can hide them in our oversized sweatshirts. 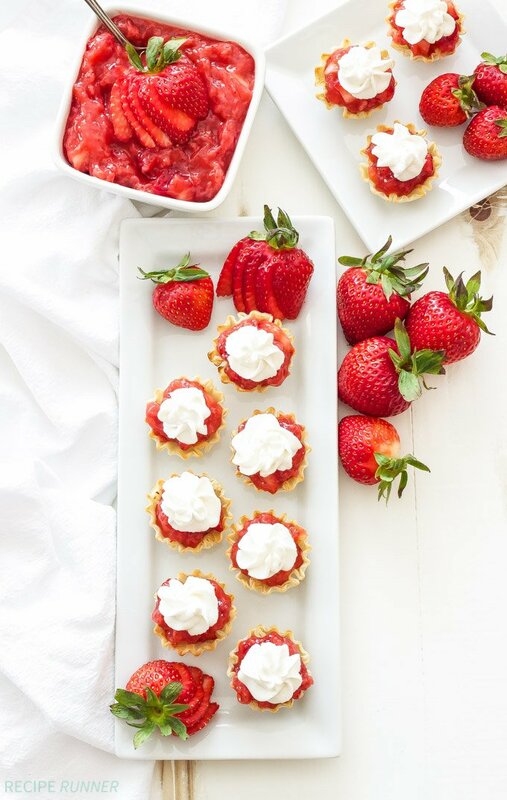 These No Bake Strawberry Pie Bites are not only mini and no bake, but they are one of the best desserts I’ve made in a long time and I know my husband would completely agree…he ate 7 of them! 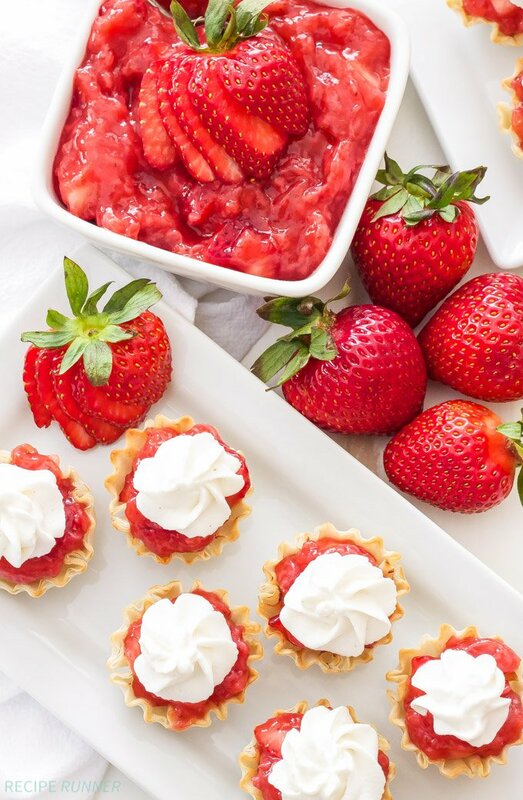 They are the perfect dessert to make for your 4th of July barbecue this weekend or anytime you are craving pie, but without all the fuss. 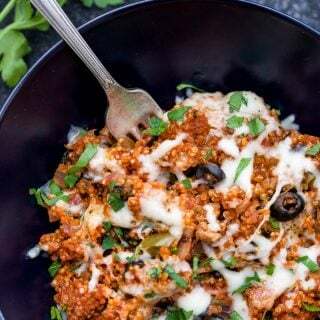 Today I’m sharing this easy and exceptionally tasty recipe over on Spoonful of Flavor, head on over so you can make them this weekend! These are adorable!! And I love anything with strawberries, so I'm totally in! 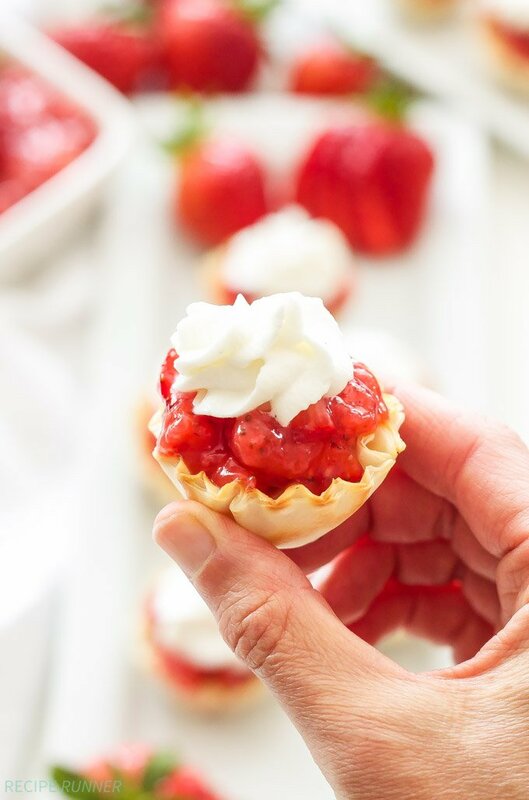 Love these no fuss, no bake strawberry pie bites!! They are so pretty and perfect for the 4th of July! seriously, these are so cute, I would be popping them into my mouth all day long!! these would be so cute on a dessert table at a fourth of july BBQ. I use philadelpia cream cheese and I just use the store brand heavy cream.This pie looks fantastic! 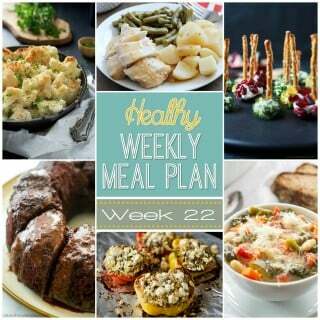 Definitely will try this for the family! Thank you!